Jack Link's Jerky is giving away over $22,000 in instant win prizes! 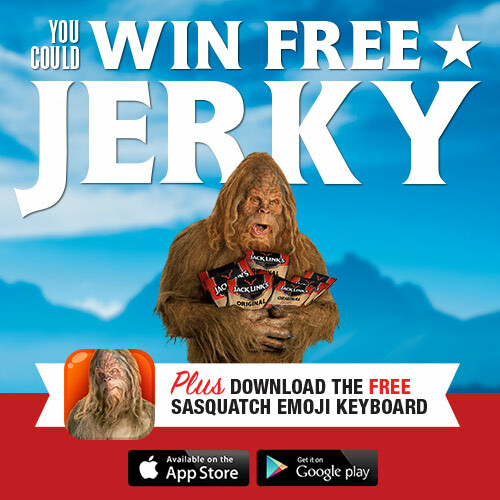 Enter daily for your chance to be one of over 6000 winners who get YUMMY free Jack Link's Jerky! TWO THOUSAND FIVE HUNDRED (2,500) GRAND PRIZES: A free bag of Jack Link's jerky. Approximate Retail Value (“ARV”): $8.99. THREE THOUSAND SEVEN HUNDRED FIFTY (3,750) FIRST PRIZES: A $2 off coupon for Jack Link's Jerky.